Explorers found a silver bar weighing 100+ pounds off the coast of Madagascar. 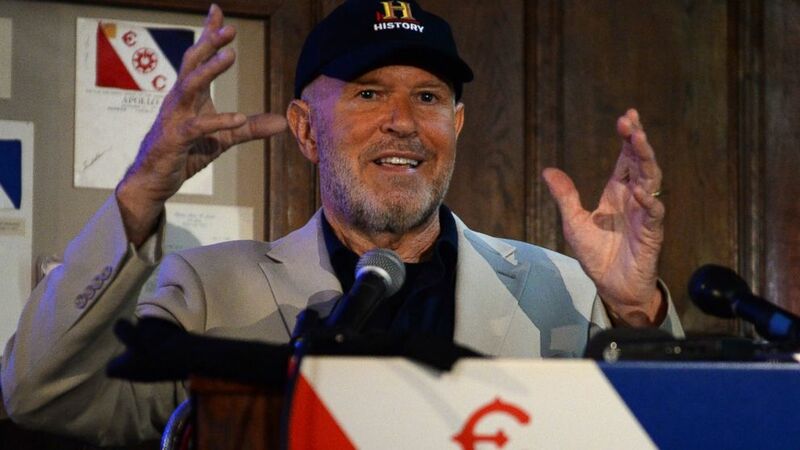 camera (DON EMMERT/AFP/Getty Images) Maritime archaeological investigator Barry Clifford talks about a discovery off the northern coast of Haiti at a news conference May 14, 2014 in New York. 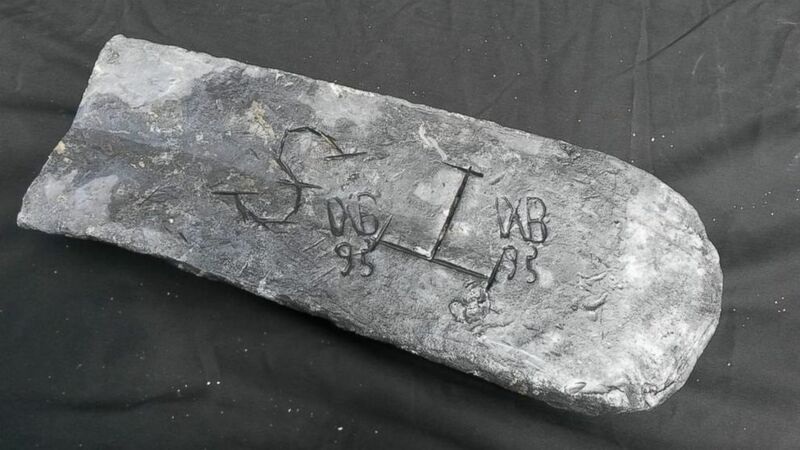 Underwater explorers found a silver bar that reportedly weighs more than 100 pounds off the coast of Madagascar, believed to be "treasure" belonging to notorious pirate Captain William Kidd. In the 1600's, Captain Kidd was appointed by British authorities to stop pirates, but he then turned to a life of piracy himself. He was executed in 1701 and his body was displayed as a warning to other pirates, the BBC reports. The mysterious silver bar was brought to shore today from the wreckage of what was believed to be Captain Kidd's ship, the Adventure Galley, the BBC reports. While some may be skeptical about the bar's origin, American explorer Barry Clifford, who led the expedition, told the BBC that he believes other bars of "treasure" are also buried in the underwater wreck. (Martin Vogl/Twitter) The silver bar found off the coast of Madagascar. (Martin Vogl/Twitter) Soldiers guard the silver bar found off the coast of Madagascar. The bar appeared to be marked with the letters "S" and "T." The exploration team believes it originated in Bolivia in the 1600's, according to the BBC. 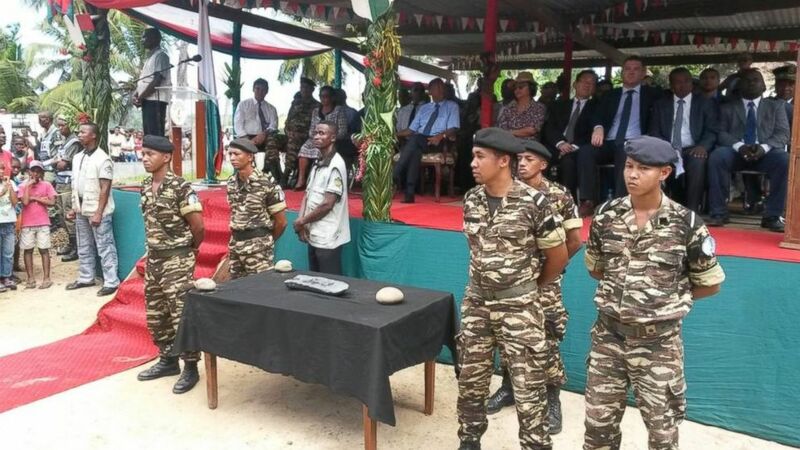 The bar was then presented in a ceremony to Madagascar's president.